Here in Turkey we don’t celebrate Christmas so it’s a rather normal day for me tomorrow, haha! 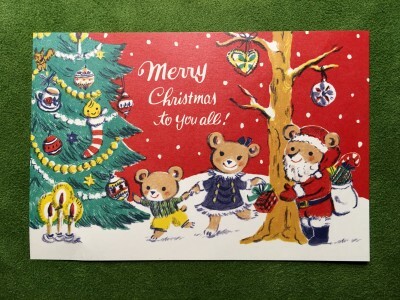 Glad to hear you are united with your parents and loved ones and in your home country, even if with a little discomfort :) I think most of us know that feeling, Christmas or not. Always waiting for your posts! Here in Japan also, it is not as festive like in the UK, as it is a normal working day & school day for the Japanese. (Whereas in the UK, 25th & 26th is national holiday.) The illumination lights are pretty here in Tokyo though! A bit O.T.T. with the crazy amount of electricity used but, for the Japanese, Christmas has no religious meaning, they just adopt the fun element. What’s rather sad about the ‘feeling too full’ thing is, with age it seems, I get full quicker than before! I’m sure I used to be able to eat more…!!! Moderation when eating is surely a good thing, but still…, I don’t know, I guess I am ‘feeling’ my age…! Anyway, wether you celebrate Christmas or not, happy holiday to you!!!!!!!!!! It truly must be a special holiday for you in Tokyo! I start feeling excited the moment i start for the airport and from then on its a feeling of relief, adrenaline, impatience all at once. Do post some pictures ofvTokyo in Christmas. Adopting the fun element of a religious festival is even better than the original way to celebrate (i feel sometimes).. have fun n we want a detailed post onit! Hi Swati!!!!!!!!!! It’s so lovely to hear from you!!!!! The holiday is indeed exciting! I’ll try posting real soon!!!! Til then, belated Merry Christmas to you, and I wish you the very very best for 2016! I’ve been broadway market few times and found your tart so so so yummy that I still think about it now. I’m trying to make my own one and I would like to know what is the filling inside of fruit tart? They are Amazing! wish you all the best and can’t wait to go back and try you dessert! Virus? Cold? Poor you…!! I also suffered from a whole week of bad cold this month. It’s so cold standing outside on Saturdays… no matter how many layers of clothing, it’s c.o.l.d. I actually want to wear one of those bank-robber style balaclavas!! Ha! I don’t think it’ll attract customers though…! Enjoy your new apartment! It must be so nice! New environment, new year~!